Space Studies Program | Space Agenda, The space related events calendar! The International Space University (ISU) is proud to announce that Florida Institute of Technology (FIT) located in Melbourne, Florida and NASA Kennedy Space Center (KSC) located just 45 miles north of the University has been selected to host the 25th Annual Space Studies Program from June 4 to August 3, 2012. "Few places on Earth symbolize both the history of space flight and the exciting transition to new missions and methods for its future as well as Central Florida. We are thrilled to partner with the Florida Institute of Technology and Kennedy Space Center to help a new generation of space pioneers prepare for the voyage ahead" says Michael Simpson, former ISU President. Each summer, ISU offers this intense nine-week program in a different location, making it a unique educational concept and building on the fundamental ISU tenant of an international experience. ISU is an institution which recognizes the importance of interdisciplinary studies for the successful exploration and development of space. The selection of the United States Space Coast seems a natural fit to convene the 25th session of the Space Studies Program as the US gateway to exploring, discovering and understanding our universe. Angie Bukley, ISU Associate Dean and SSP Director points out: "The superior academic and research facilities at Florida Tech coupled with those of KSC will provide the perfect learning laboratory for the SSP12 participants. We are profoundly pleased with the level of support that the Florida Tech faculty and KSC scientists have committed to the program. 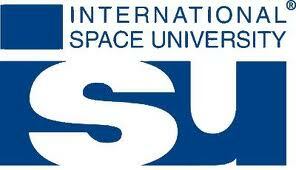 SSP12 will certainly be memorable both for its location and for the quality o f the academic experience."